This past weekend Devine FCCLA travelled to Dallas, Texas for the State FCCLA Conference. There were 4,320 people in attendance, with thirteen students from Devine. Amy Bailey and Ismael Vera, Rosa Gonzales, and Dulce Rodriguez, participated in Spotlight on Projects competing against 210 teams. Amy Bailey and Charlize Benavidez both received Gold for their Family and Consumer Science Assessments out of 940 participants. They also worked workshops and events to help make the State Conference a success as part of their Regional officer duties. State Qualifiers- Caitlyn Breiten and JoJo Villanueva with their project entitled Giving Back with a Pack. Ismael Vera, Rosa Gonzales, and Dulce Rodriguez with their project entitled Tame the Shame. Amanda Byrd and Jamie Courtade placed 5th in Interpersonal Communication Senior with their project, Teen Suicide. The following two teams placed 1st and earned scholarships to Texas Tech or Johnson and Wales University, if they choose to pursue FCS. 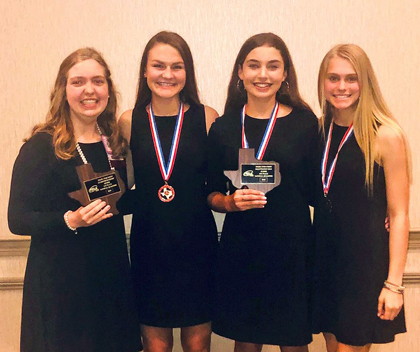 Those National Qualifiers include the Junior Illustrated Talk team (Kelli Geyer, Karma Herring, and Kendall Marek) with their project Live Happily Without Cavities; and Abby Kohlleppel in Entrepreneurship Senior, with her Farmhaus Café and Bakery project. This is Kohlappel’s third time to qualify for Nationals. “We are proud of our students’ hard work and dedication to making our community a better place, reaching nearly 2,000 people in our community. We would like to thank Roland Cadena and Stephanie Kohlleppel for helping to judge STAR Event projects at the State conference,” Steubing said. Nationals will take place June 30th – July 5th in Anaheim, California. We will have a spaghetti luncheon Sunday, April 28th from 11am-2pm at the DSAC to help raise funds for our National Qualifiers! We will presale tickets available to dine in or carry out. 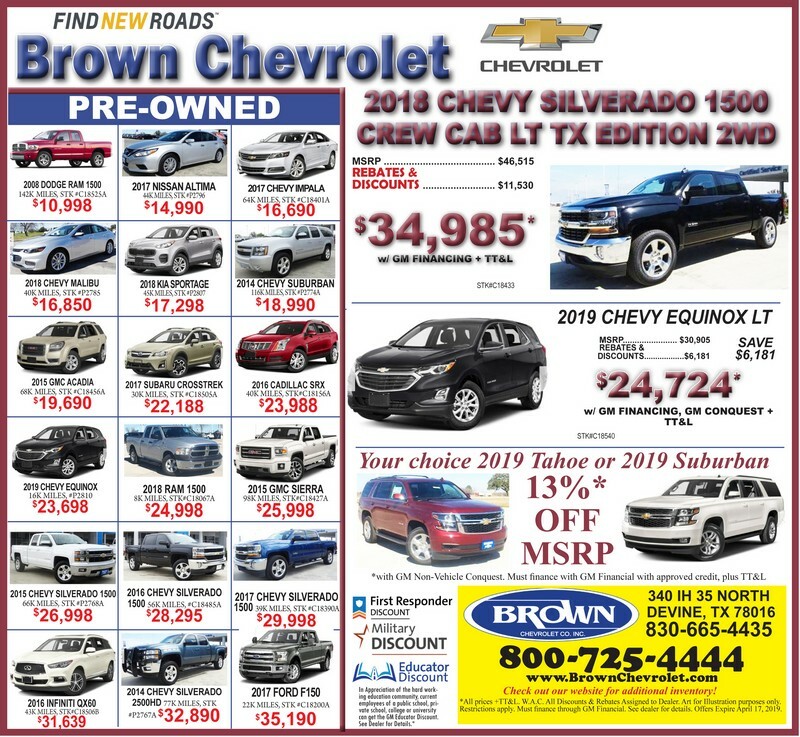 Additional plates can be purchased the day of. We appreciate all of your support!